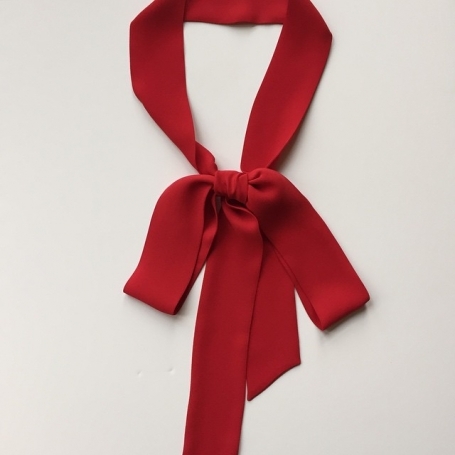 Skinny scarf - everyone is mad about it, from fashion bloggers to runway models, from celebrities to best dressed women in bars and restaurants. 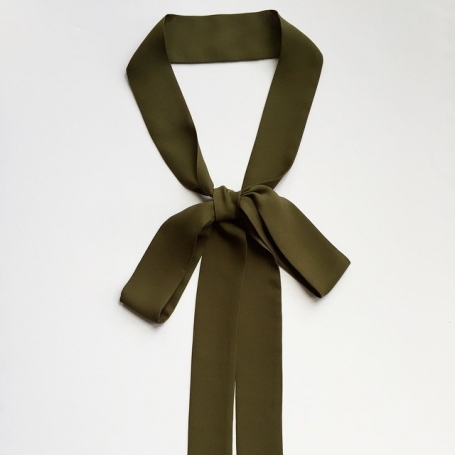 Skinny scarf is a trend now and will remain so for Spring 2016. Whether long or short, tied or loose, this is what you must have if you fight for or already hold a title of a stylish person. 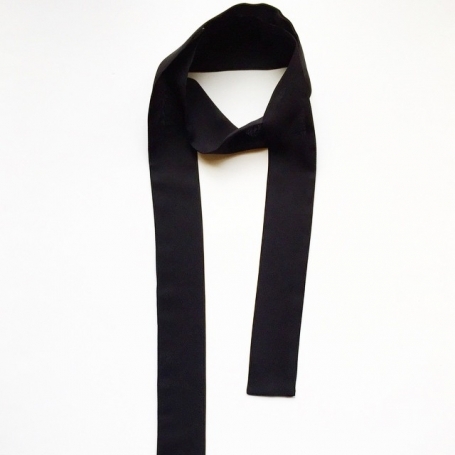 While female fashionistas just start adopting this trend, men are all experts in single wraps around the neck. 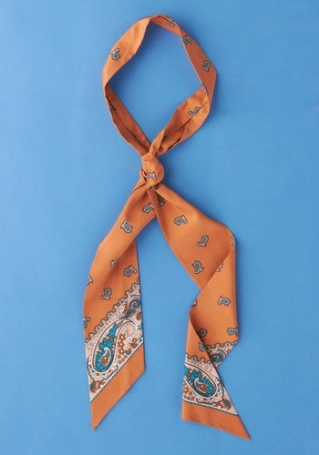 In fact, this is a masculine piece of accessories, which is now promoted by fashion designers to stress the independence and strength of modern women. Johnny Depp wearing a double wrapped black and grey granny scarf with a single knot in the front. and a contrasting navy pocket squire in white polka dots. 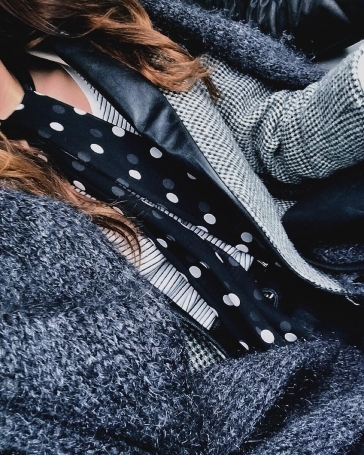 A classic option to wear a skinny black scarf - over a white shirt in a black and white ensemble plus a camel coat. The Little Pulm added some salt by blurring the classic chic with casual pants. 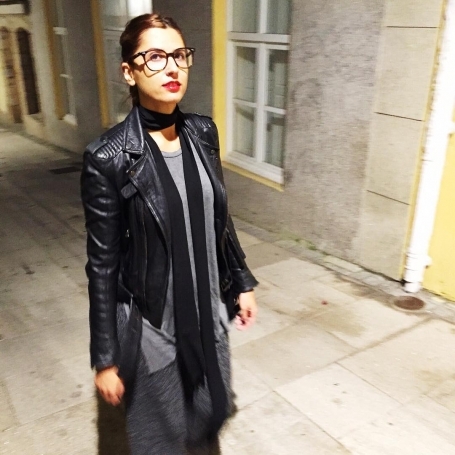 Leather jacket goes perfectly with a long black scarf. 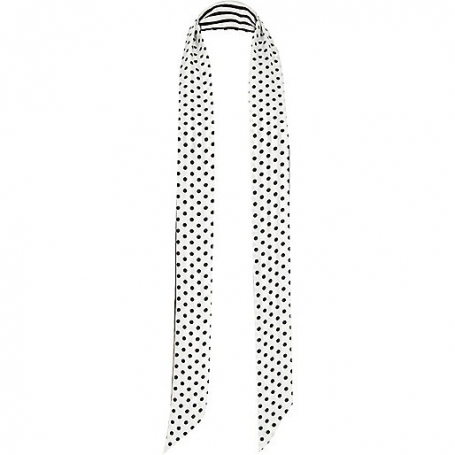 This chiffon black scarf with white polka dots is just adorable. 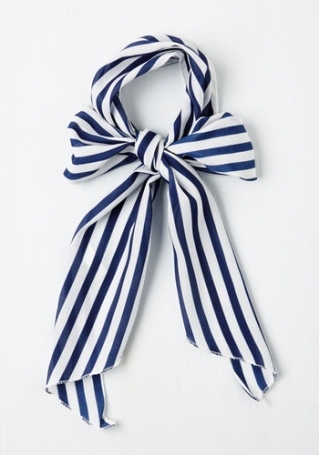 The most feminine way of styling a skinny scarf with a shirt. What a cool casual outfit! Jeans shorts with a white shirt and black formal vest. All styled with a "long black" and gladiator sandals of the same color as the wild print on the handbag. This is an overall vintage look - a vintage blouse with front buttoned skirt styled with color-refreshing scarf. Interesting blue print over a flat white scarf. 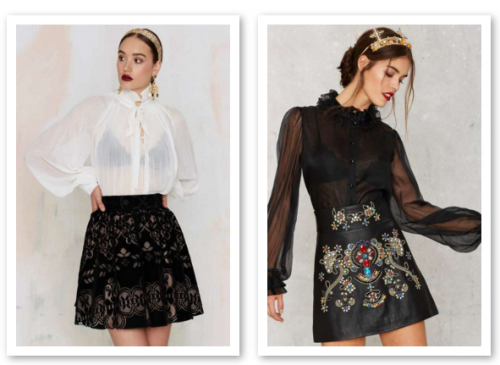 WHERE TO SHOP THIS TREND?